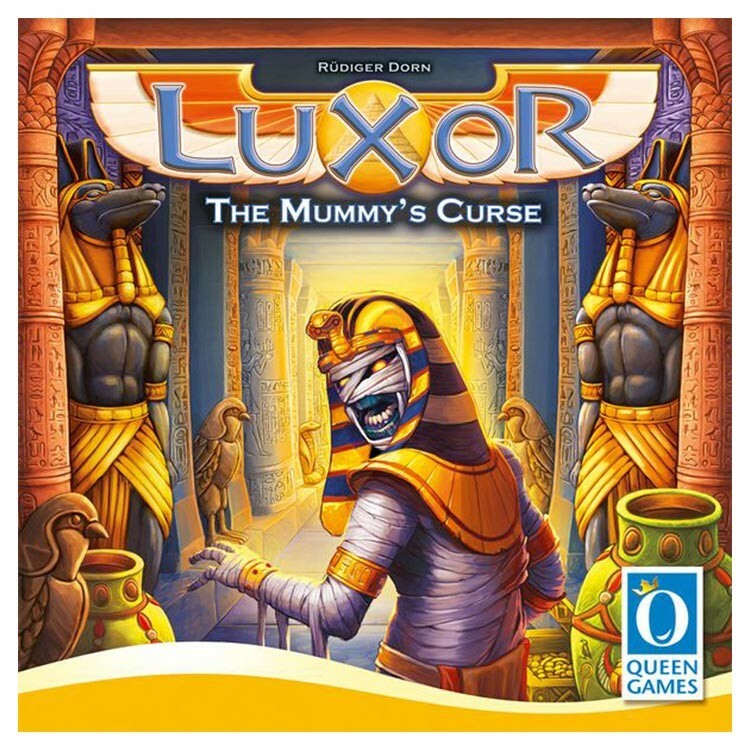 This expansion contains four different expansion modules that can be combined in any combination with the Luxor base game. It also includes the necessary pieces to play with five players. The modules give players special powers, unique starting hands and new ways to collect sets of treasures. Most importantly, it contains a cursed mummy that players must avoid!